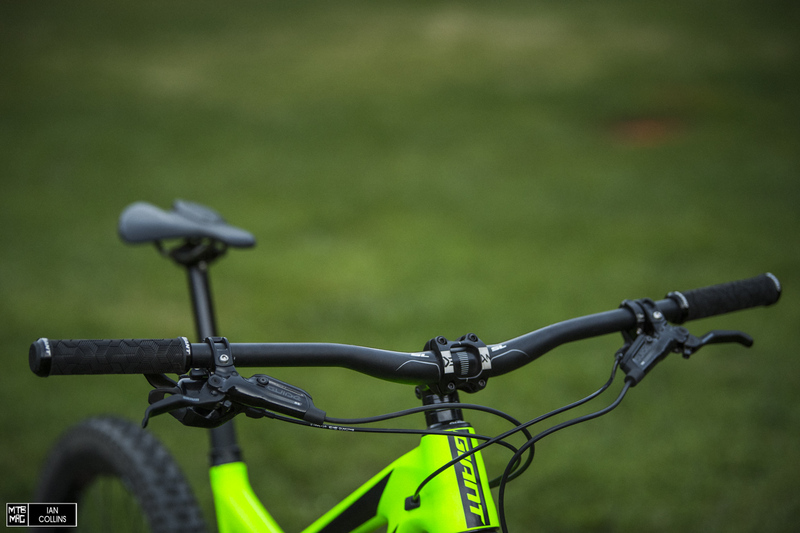 Long low and slack, our size Medium Reign is longer than a great deal of size Large bikes from the more cautious brands out there on the market. Props to Giant for leading the charge and pushing the limits. The well proven FOX 36 Elite up font. 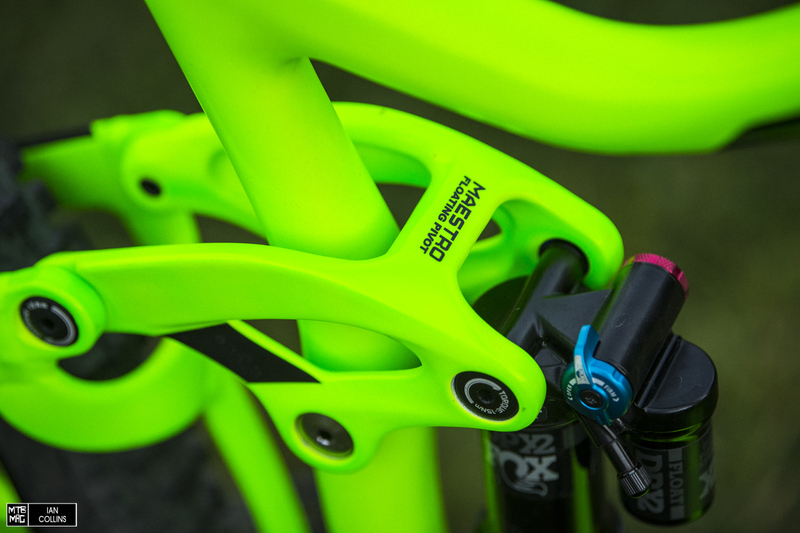 It features all of the adjustments of the 36 Factory, save the Kashima and color. Worthy to say the least. 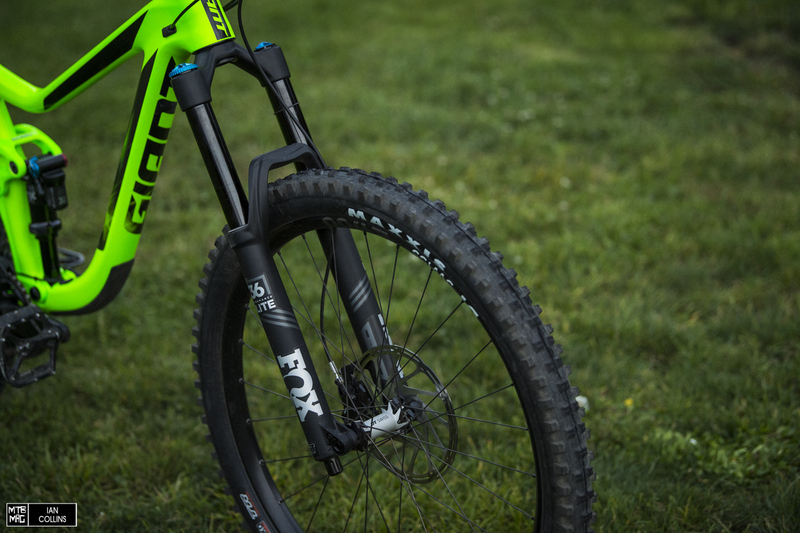 The FOX DPX2 EVOL. We’re really looking forward to trying this shock. With a broader trunion mounting up top and a completely new design, it will be interesting to say the least. 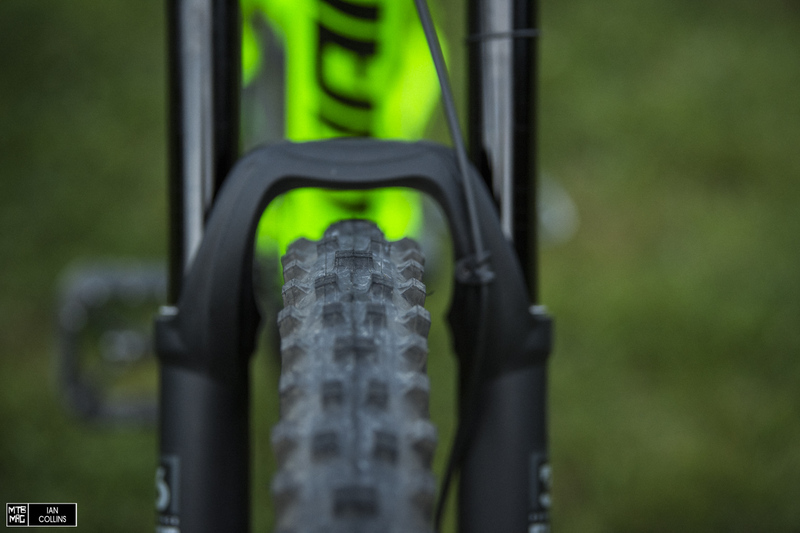 After how impressed we’ve been with the new generation RockShox stuff, we’re stoked to see how the competition fares. GX Eagle. Our long term review is due out soon, but in short – we’ve been super impressed. In a blindfold test we wouldn’t be able to tell the difference between GX and XX1 on the trail. Crisp shifting, huge range and flawless performance. 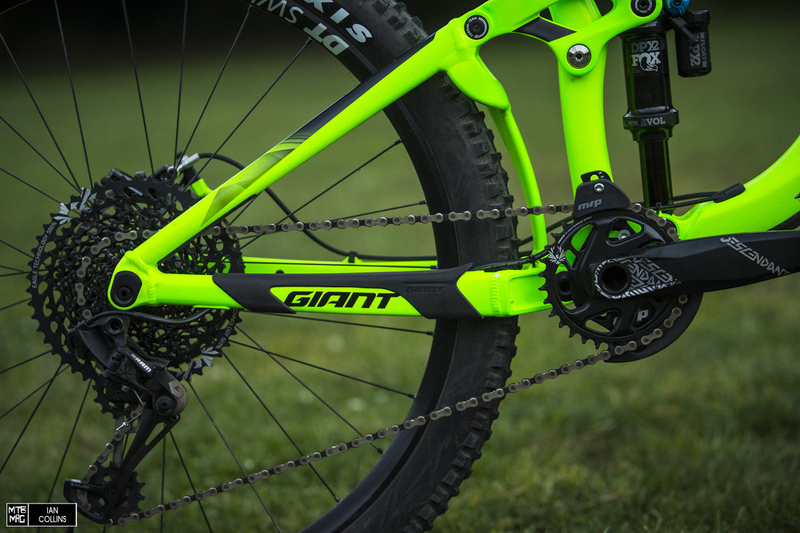 It was nice of Giant to include a chainguide and DH rated cranks. These days, as rowdy as people get on enduro style bikes, it was certainly a wise choice of spec. 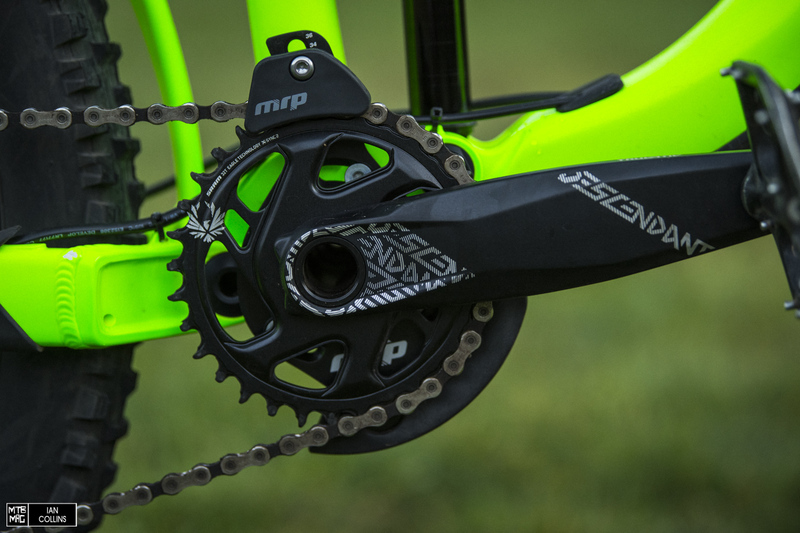 We’d probably opt for a 34 tooth chainring over the 32 tooth, but to each their own. 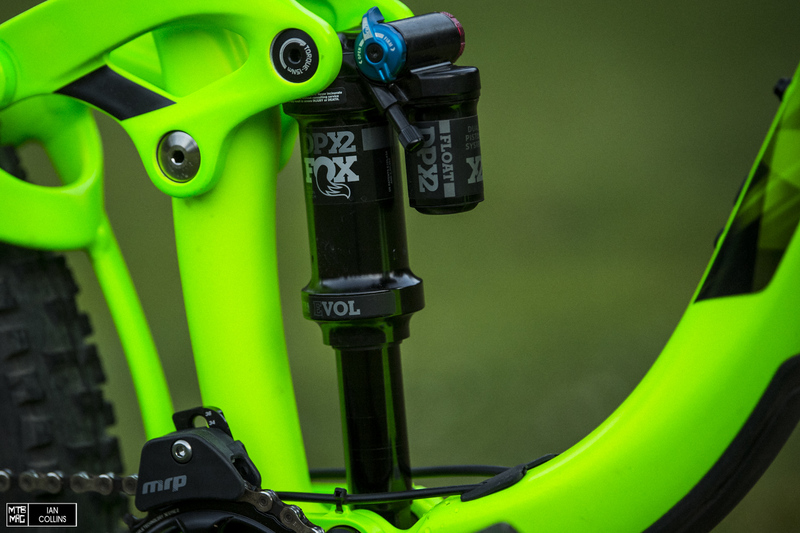 Up front, there’s a mix of in-house Giant brand spec and a short, 40mm Truvativ Descendant stem. Giant went super wide with the bar and the grips actually feel quite nice. 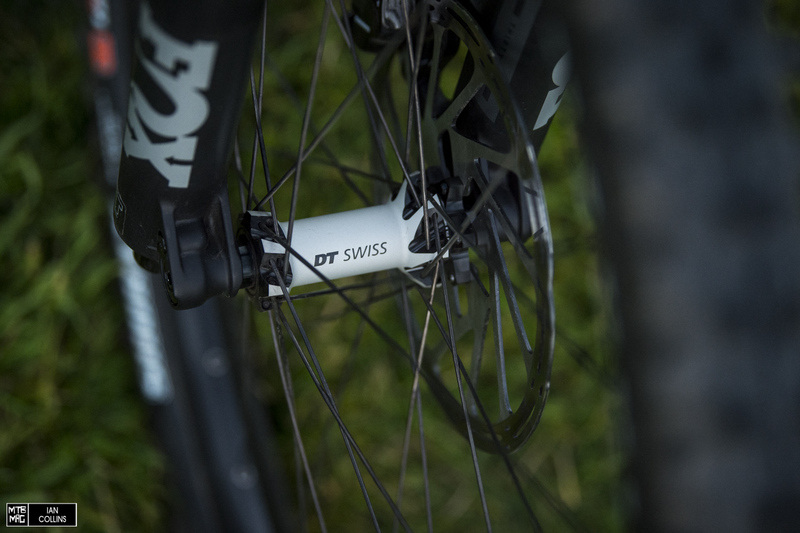 Proprietary, straight pull DT swiss wheels. No carbon fiber wheels here, but at $5400 you can’t expect that. This is the next best thing. It’s interesting to see a Maxxis Shorty spec’d up front. 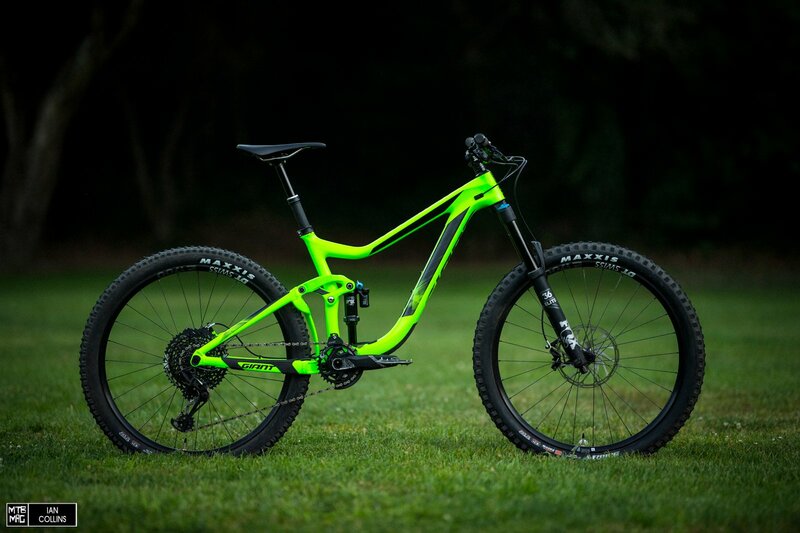 This is spec that’s heavily influenced by elite racers. While we may not keep that tire on long term, props to Giant for catering to the more aggressive. 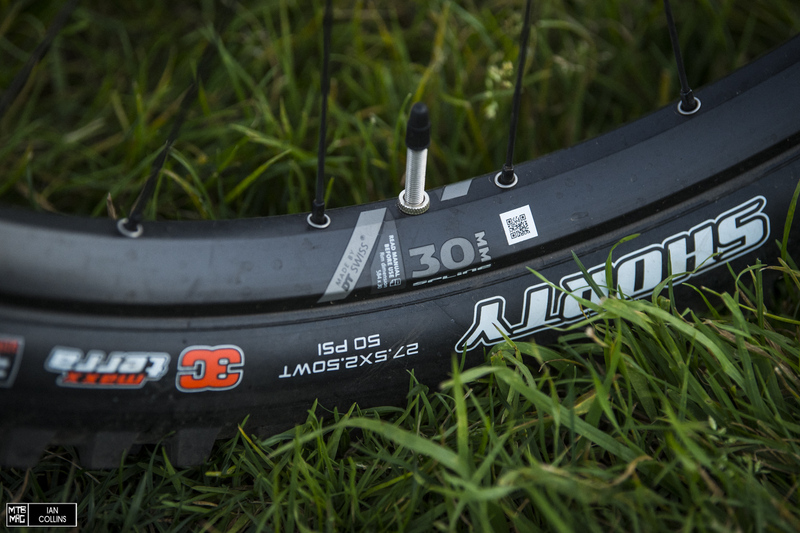 30mm internal width rims are where it’s at for 150-170mm travel bikes. The Reign also shipped with valves and sealant for tubeless setup, so we’ll be swapping over to shed some weight. The Reign’s one-piece forged carbon fiber upper link is a thing of beauty. 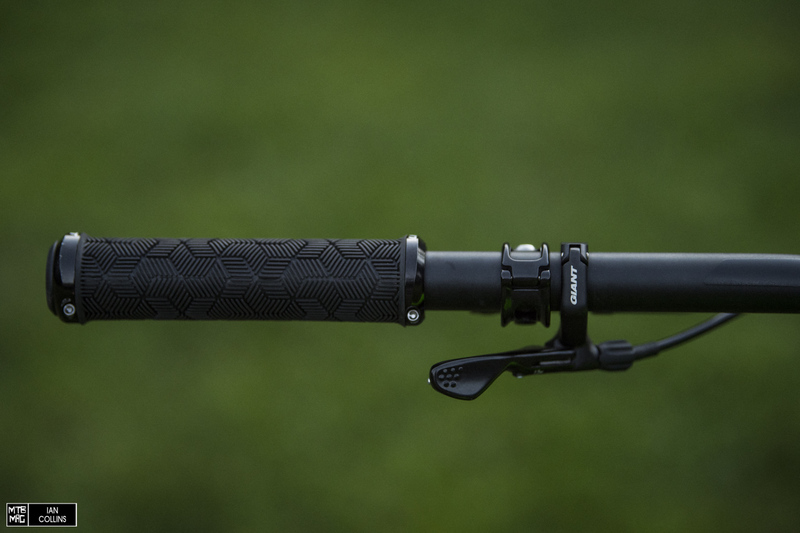 Last but not least, Giant updated their dropper post to utilize a 1X style lever…Nice touch. We’ll keep you posted on how it rides over the long haul.